Ways to Save at Kohl’s | 13 Secret Shopping Tricks! Ways to Save at Kohl’s. Kohl’s is a great place to shop for bargains if you know what to look for, and here are several ways to save at Kohl’s that you may not know about! 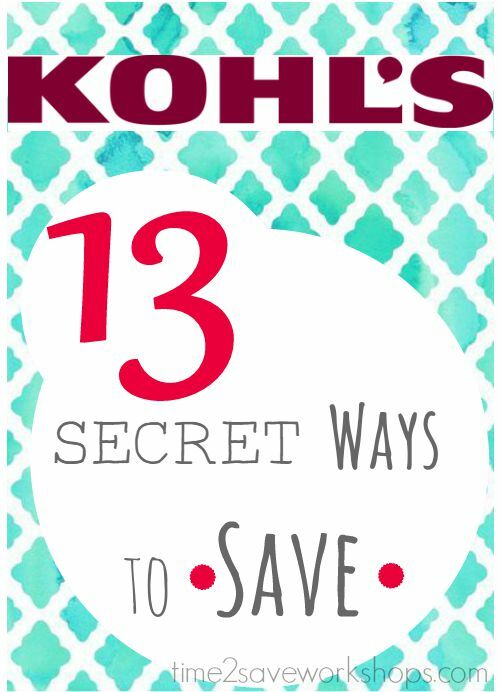 Check out these 13 “secrets” for how to save when shopping at Kohl’s. Before you make any purchases at Kohl’s, you’ll want to join the Yes2You Rewards Program so that your shopping can earn you money! Simply put, for every $100 you spend at Kohl’s, you’ll earn a $5 Rewards code. Just sign up here to start racking up points ($1 = 1 Point) as well as get some fun $5 coupons in your inbox. Yes2Mondays are awesome. Each Monday, Kohl’s sends out an email entitled Yes2Monday (search your inbox for it easily) that includes a special offer. Once in a while, it’s a coupon for $5 off $5 Purchase, which means you can get something for FREE if you choose! Other times it’s an offer to earn double the bonus points. And just in case all those limits are confusing – remember, only four codes TOTAL can be used. Occasionally using a percent off code will knock the total down so that, say, your $10 off $30 code won’t work anymore. So enter in order accordingly. *Important: You can only stack two codes on a mobile device – so order on your home computer. If you asked most people where they should head to buy big items, they might lean toward a popular discount store. But given what you know now about stacking codes and earning cash – you can often find the BEST deals on some big-ticket items at Kohl’s! Please note that the items listed below were available to use the Kohl’s mystery coupon, but that could change. Kitchen-aid Mixers and Keurig Machines are nearly always cheaper at Kohl’s than anywhere else (after discounts & Kohl’s Cash *and sometimes rebate). Nice Pots & Pans sets like Rachel Ray, Calphalon, etc… will send you into sticker shock, but wait until they’re about half-price (this happens several times a year) and then combine a 30% off code with Kohl’s Cash to pay what you would for a far inferior set. Bath Towels, Sheet Sets and Pillows – Wait until these go 50- 60% OFF and then stack codes and earn Kohl’s Cash. I usually can get The Big One bath towels for about $3.50 each, and I think they’re good towels for that price. The same goes for Big One sheet sets and Big One Pillows. 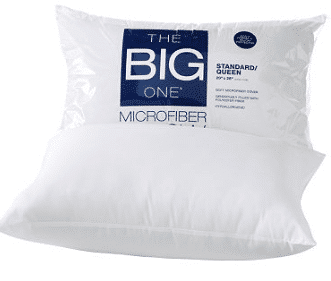 They might not be super luxurious, but they’re nice everyday sheets and pillows for a steal with the right discounts. According to Kohl’s Policy, any purchase within $2 of the $50 mark will receive Kohl’s Cash! From 3 PM on Friday – 1 PM Saturday you can take advantage of extra sale prices known as Night Owl and Early Bird Specials. The biggest clearance markdowns happen on the 2nd and 4th Saturdays of the month and discounts can get as low as 90% OFF! I’ve had great luck finding clothing for 90% OFF – especially pretty sweaters, kids’ graphic tees, and nice men’s shirts. All the men in my family got new sweaters last Christmas because I caught them on 80% OFF clearance last Spring. (Shop out of season and hold onto them for gifting later!) Look for clearance sections in each department with the Gold Star Clearance signs. In some sections, the clearance is hiding a little – so in bedding and housewares, for instance, it will be tucked into a certain aisle, probably near an endcap. Kohl’s coupons can be used towards clearance purchases too! Don’t waste your ink printing out Kohl’s Coupons – simply bring your smartphone to the store with you and have the coupon bookmarked. As long as the barcode is scannable, this works just fine. Yes. This is a thing! Every Black Friday (and sometimes around Mother’s Day or Christmas too) we’ll see a crazy Kohl’s offer that makes Black & Decker appliances either $1.99 or Free. It’s a perfect storm of $15 Kohl’s Cash, 30% OFF Codes, and Rebates – and they sell out in a flash. See our past post about Kohl’s Appliances for $1.99 to get a better idea of how this is possible! Text SAVE07 to #56457 for a 15% OFF Coupon. 10) Forgot a Coupon? Get Reimbursed Later! If you forget to use your coupons at checkout – or find out about a code after the fact – you can still recoup those savings you missed. For online purchases, just email customer service with your Order # and the Promo Code. For in-store purchases, take your receipt and coupon to customer service. The savings will be credited back to your original form of payment. Are you contemplating an order that will save you a lot of moola…. but shipping is going to kill the deal? Stop into a Kohl’s store and use the in-store kiosk to place your order. You’ll get completely free shipping! 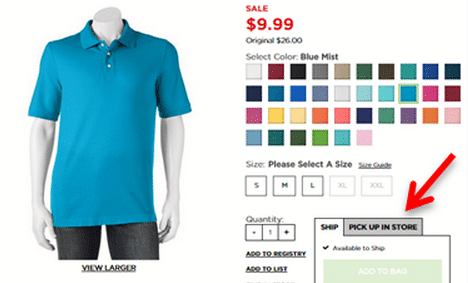 Another one of my favorite ways to save at Kohl’s that is a TOTAL game-changer for me is the Store Pickup option. In the past, if I were able to get a beach towel for $4 (reg $28.99! ), I would’ve sighed and put it out of my mind because of the $5.95 Shipping. But just a few weeks ago I ordered three beach towels and went in that evening to pick them up, easy peasy! If you spend much time shopping at Kohl’s, it might be worth it to you to sign up for a Kohl’s Card. Cardholders receive 30% OFF Codes and FREE Shipping codes every month. 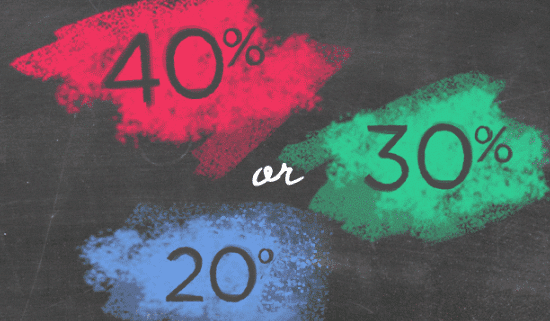 Non-cardholders never get above a 20% OFF Code and ALMOST never get a free-shipping offer, unless we see the very rare (and riot-inducing) Kohl’s Mystery Coupon Code worth 40% OFF. 13) Know what’s NOT a Good Deal. I’ve never seen a pair of shoes that was a really good deal at Kohl’s. (Unless it was shoes on Clearance because the seasons changed.) Likewise, there are some things that are just not going to be good deals at Kohl’s. Just like they have “loss leaders” to draw people in (e.g. $3 bath towels) – they have to make up for it on other things. Here are a few things we’ve noticed tend to be consistently higher at Kohl’s than other places. Check out all current Kohl’s Deals here! Would appreciate someone letting us know and sharing the code if so? I have gotten the 40% off before. It was a nice surprise as I needed to buy several big ticket items during my pregnancy for the baby. What IS the code for the 40 % off at kohl’s for 12-11-17? ?